"If she stays in training next year she could step up to a mile and aim for something like the Matron Stakes. I'm not sure where she will go next, although the Group Three Park Stakes at Doncaster (in September) could be a possibility." "He deserves to go up in grade now. Saeed (bin Suroor) was looking at a Listed race at Pontefract later in the month. I'm sure Saeed and the boss (Sheikh Mohammed) will talk about where he goes next." "If he's in good form, of course the King George would be wonderful to run in, but if it's a dance too far then we wouldn't. We'll do right by the horse. He's not in the Arc, so he'd have to be supplemented. I think he'd be an Arc horse unless it went bottomless." "We'll probably give her a little holiday now and look at coming back for the Group One for fillies at Ascot in October with maybe one run before." "We'll go straight to the St Leger with him, he'll love it at Doncaster. Masked Marvel came here and did the same before winning the Leger. It's the right route for this horse. I'm not saying he's a Masked Marvel, but he's a very nice horse." "We'll look at the International at Ascot at the end of the month. I hope she gets in. We'll probably retire him at the end of the season." "He's a talented horse and has always been our fastest two-year-old this year. The plan now is to go for the Richmond Stakes at Goodwood." "He always works well and was in good form. The mile and a quarter suits him well. The plan is to take him to York at the end of a month for a mile-and-a-quarter Group Two (Sky Bet York Stakes)." "We're very proud of our horse and I think now we'll just wait for the Juddmonte (International). I'd love to take him back to York, our home track." 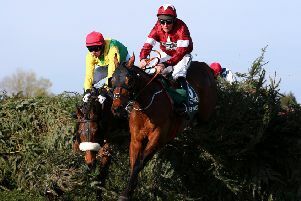 "The ground would have been a little bit lively for him today and he will now have a short holiday. He will be freshened up for the Champion Stakes, which is his big target."